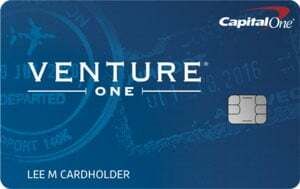 Capital One® VentureOne® Rewards Credit Card is a travel rewards card with no annual fee and a straightforward, easy-to-understand rewards system. You earn 1.25 miles per dollar spent on every purchase. There are no minimum requirements for how much you spend or what you buy. You can redeem your accumulated miles for virtually any travel purchase. VentureOne Rewards shares the spotlight with a number of other travel rewards credit cards. It’s closely related to its stablemate, Capital One Venture Rewards, which carries an annual fee ($95, waived the first year) and earns rewards at a higher rate of 2 miles per dollar spent. VentureOne Rewards has much in common with annual-fee-free competitors such as Discover it Miles, BankAmericard Travel Rewards, and the Expedia+ Card from Citi. And, finally, it competes with general-purpose and brand-specific travel rewards cards with annual fees ranging from $50 to $150. These include Chase Sapphire Preferred, the Expedia+ Voyager Card from Citi, and Barclaycard Arrival Plus. It’s important to note that although Capital One VentureOne Rewards earns a lower baseline rewards rate than the Venture Rewards and doesn’t carry an annual fee, it’s not exactly an entry-level version of its Capital One stablemate. Like Venture, this card requires applicants to have excellent credit. If you have any significant blemishes on your credit, or simply haven’t built up your credit yet, you’re unlikely to qualify for this card. You receive 20,000 miles after you spend $1,000 on the card within 3 months from account opening. That’s worth $200 when redeemed for travel. Capital One VentureOne Rewards earns an unlimited 1.25 miles per dollar spent on all purchases, save for one lucrative exception: purchases made at the hotels.com/venture portal, which earn 10 miles per $1 spent through January 2020. There are no caps or restrictions on this card’s earning power, nor spending categories to keep track of. Accumulated miles are redeemable for virtually any type of travel purchase, including hotel stays, car rentals, airfare, ground transportation (such as trains and taxis) and more, always at a value of $0.01 per mile. To redeem, you can do one of two things. First, you can exchange miles for account statement credits (known as Purchase Eraser) by calling Capital One’s customer service hotline, or you can visit your online account and manually select the purchases for which you’d like to redeem miles. Second, Capital One allows you to book travel with miles directly through its online travel portal. In either case, if you’re redeeming for a purchase that costs more than the cash value of your miles, you can redeem the miles you do have (as long as you use at least 2,500 miles) and pay the remaining balance in cash. Although Capital One also offers the option to redeem for non-travel items, such as gift cards and statement credits, values for non-travel redemptions are highly variable, subject to change without warning, and often amount to less than $0.01 per mile. You can transfer your accumulated points to any of Capital One’s travel merchant partners. The lineup is subject to change, but generally includes about a dozen popular airline and hospitality brands. This card comes with a 0% intro APR on purchases for 12 months. The card does not have an annual fee, foreign transaction fee, nor balance transfer fee. The late payment fee ranges up to $35. No Annual Fee. The Capital One VentureOne Rewards Card doesn’t carry an annual fee. That’s a big advantage over many competing travel rewards cards, including Venture Rewards ($95) and Chase Sapphire Preferred ($95 annual fee). Flexible Rewards Program. When it comes to redeeming for travel, the VentureOne card’s rewards program is super flexible. You can redeem for virtually any travel purchase, including hotel stays and just about any type of conveyance. This is a big advantage over airline-, hotel-, or platform-specific alternatives that require you to redeem with a particular brand or brand partnership, or on a particular online platform, such as Expedia. Easily Attainable Early Spend Bonus. This card’s 20,000-mile early spend bonus (worth $200) is relatively easy to attain. You just need to spend $1,000 on purchases within 3 months of opening the account, doable if you use VentureOne as your primary credit card. Discover it Miles, another no-annual-fee card, doesn’t have an early spend bonus at all. The Expedia+ Voyager Card ($95 annual fee) requires you to spend $2,000 within 3 months to get a 25,000 point bonus (worth $350). No Balance Transfer Fee. The VentureOne card is one of the few travel rewards cards that doesn’t charge a balance transfer fee – just the regular balance transfer APR. This is a tremendous benefit for new cardholders who wish to transfer high-interest balances from other cards without paying upfront for the privilege. Nice Intro APR Promotion. This card boasts a 0% intro on purchases for 12 months. Some competing cards, including the Citi Hilton Honors Visa Signature Card (no annual fee) and the regular Capital One Venture Rewards Card, don’t offer intro APRs at all. No Penalty APR. The VentureOne card doesn’t carry a penalty APR. That’s great news for cardholders who occasionally miss payments, and is a big benefit over competing cards such as Expedia+ and BankAmericard Travel Rewards. No Confusing Spending Categories. This card’s travel rewards program is about as straightforward as can be. You never have to worry about spending categories, or any associated caps or restrictions. You simply earn 1.25 miles for every dollar spent. By contrast, the Expedia+ Card accrues 3 points per $1 spent on Expedia purchases and 1 point per $1 spent on everything else, while the Expedia+ Voyager Card earns 4 points per $1 spent on Expedia purchases, 2 points per $1 spent on dining and entertainment, and 1 point per $1 spent on everything else. Fantastic Return on Hotels.com Purchases. Through January 2020, purchases made with your VentureOne card at the hotels.com/venture portal earn unlimited 10 miles per $1 spent. That’s 800% more than this card’s baseline earning rate. Moderate Miles Earning Pace. Capital One VentureOne Rewards earns miles at a moderate pace: 1.25 miles per dollar, regardless of where you shop or how much you buy. That’s slower than some competing no-annual-fee cards. For instance, Discover it Miles and BankAmericard Travel Rewards both earn an unlimited 1.5 miles per $1 spent. No Preferred Brands or Partnerships. Since VentureOne Rewards doesn’t favor any transaction types or travel brands (such as hotel families or airline partnerships), it’s basically impossible to use this card to score unpublished rates or reduce the time or points necessary to qualify for a free stay, flight, or rental. This is an important negative relative to airline- or hotel-branded cards such as the Alaska Airlines Visa Signature Card ($75 annual fee) that frequently offers great deals on long-haul flight redemptions, boosting the buying power of accumulated miles for those routes. By contrast, with the VentureOne Card, you’re always stuck redeeming miles for fares’ equivalent $1 values. Miles Always Have the Same Value When Redeemed for Travel. The VentureOne Card’s miles are always worth $0.01 apiece when redeemed for travel. While this makes for fewer mathematical calculations – and headaches – come redemption time, it’s also not great for cardholders who wish to maximize the value of their accumulated points. When redeemed for travel purchases through Chase’s Ultimate Rewards portal, Chase Sapphire Preferred points are worth $0.0125 apiece. Limited Travel Benefits. Aside from complimentary upgrades and savings opportunities where available, the VentureOne Card doesn’t have much in the way of luxury perks or convenience benefits for travelers. 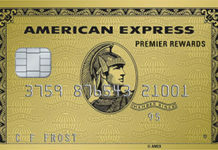 Many branded cards, including American Express’ Gold Delta SkyMiles ($95 annual fee) and Citi Platinum Select/AAdvantage ($95 annual fee), offer perks such as in-flight discounts, priority boarding, and free checked bags. Requires Excellent Credit. Capital One is upfront about the fact that this card requires excellent credit. Even if you have good or very good credit, there’s a high likelihood that you won’t qualify for this card right off the bat. If you’re set on a travel rewards card, consider annual-fee-free alternatives like Expedia+ from Citi, which can build your credit and help you work up to a more generous rewards card. The Capital One® VentureOne® Rewards Credit Card doesn’t earn miles at a breakneck pace or offer gold-plated benefits for cardholders in good standing. If you’re looking for a card that races you to free airfare or pampers you wherever you go, there are definitely better alternatives. However, there’s a lot to be said for a card with VentureOne’s simplicity and straightforwardness. With this card, you always know where you stand – and how long it’s going to take to get from there to free or reduced-price travel. With a straightforward rewards program and relatively low fees, the Capital One® VentureOne® Rewards Credit Card is a great general-purpose travel card for people with an aversion to annual fees and brand-specific credit cards. And, with no balance transfer fee and a nice purchase APR promotion, it’s great for travelers who need to move high-interest balances from other cards or make large upfront purchases. It’s not ideal for people who crave rapidly accumulating travel rewards or prefer certain travel merchants. The lack of an annual fee, balance transfer fee, and penalty APR, plus the attainable early spend bonus, outsize hotels.com earning power, flexible rewards program, and intro APR promotion are all great benefits. This card’s moderate miles earning pace, limited travel benefits, fixed point values at redemption, and credit requirements do hurt it. This is a very good card for frequent travelers who make a wide variety of purchases and don’t have a particular brand allegiance.